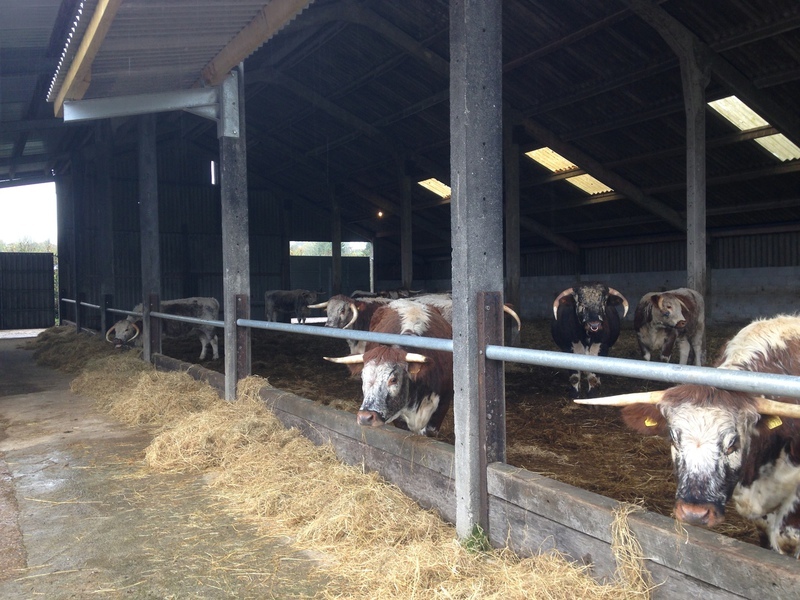 A good selection of Longhorn and Longhorn X beef cattle for the future now are housed in the new shed put up early this year. Christmas seemed to come and go with lots of family visiting, some good dry weather and all animals fit and well. The rain has come! 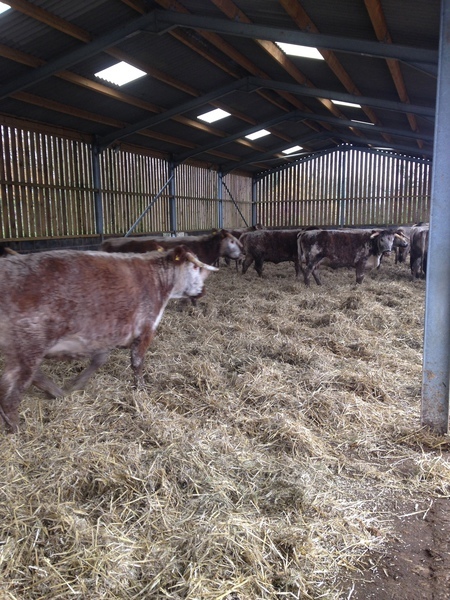 - Some of the calves have been weaned and some of the cattle have started being housed. 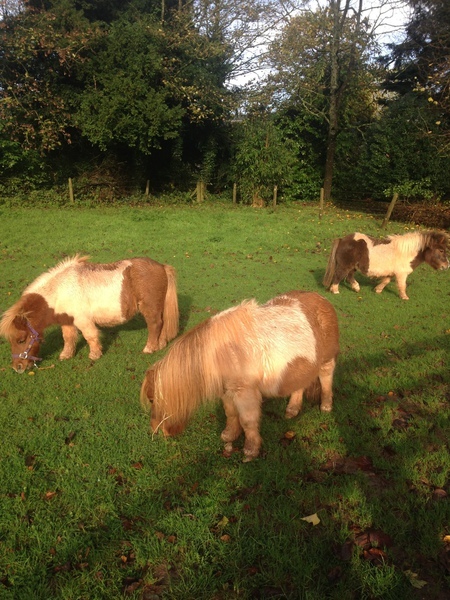 There are 3 new arrivals in the form of Shetland ponies 'Beanie', 'Joey' and 'Minnie'. 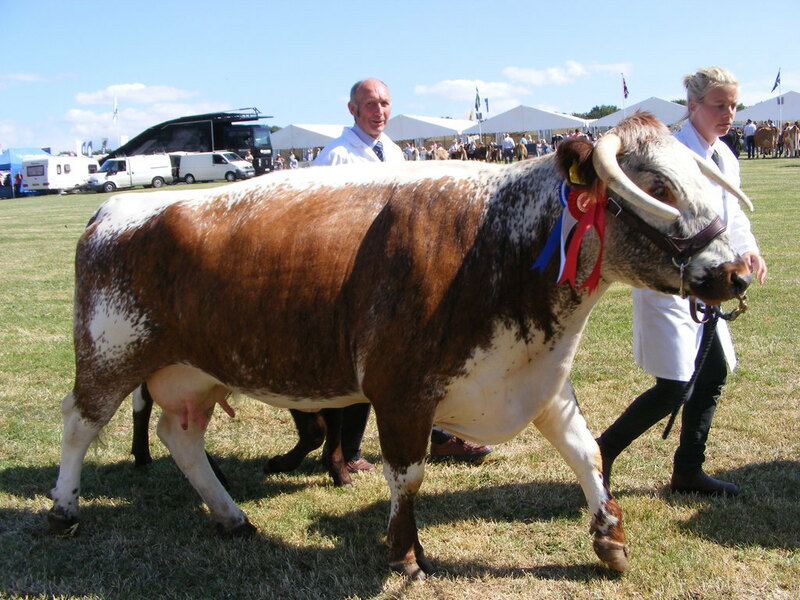 We also have the arrival of Colaba Justin, a young Longhorn bull calf to add to future breeding stock. 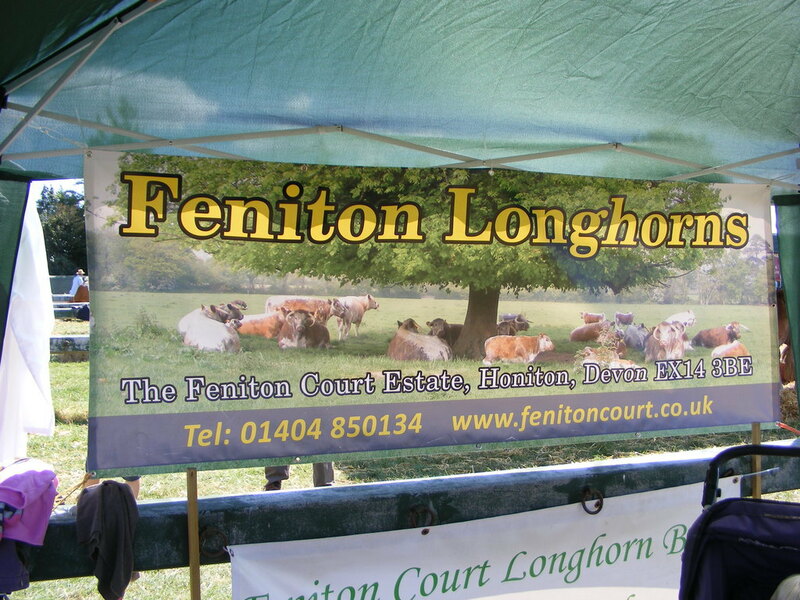 The Mid West Longhorn Club awards luncheon was held on the 16th with a few prizes being won including 1st prize in the Senior Cow Class - awarded to 'Feniton Cora'. 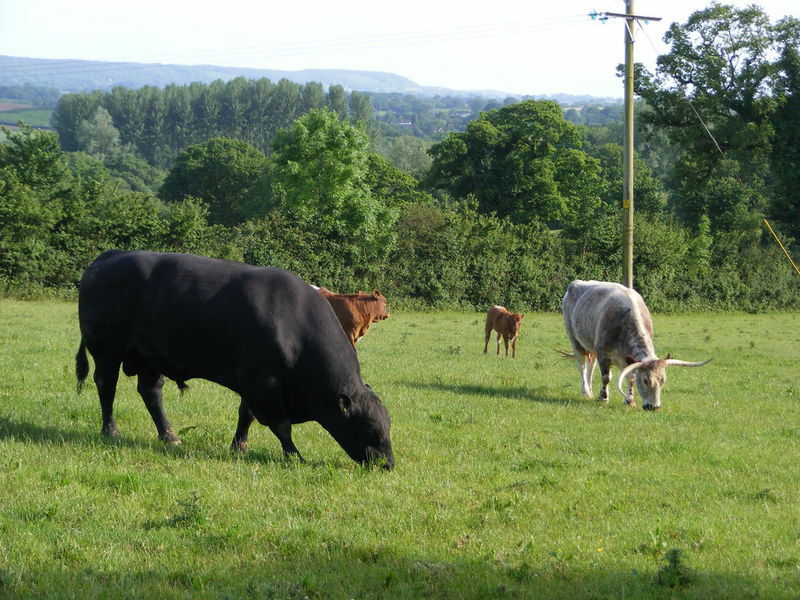 Weather is fine so all the stock are still out in the fields, the grass still seems to be growing and all looking good. The pigs have come back home from the orchard to their winter quarters where they happily come into a cosy warm stable at night. 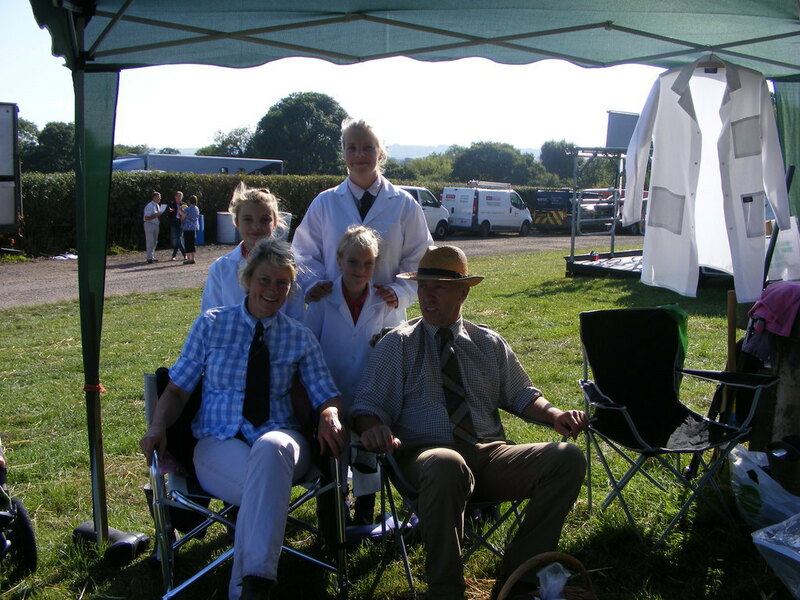 The horses are in too, grateful for a bit of pampering and having had a break, are now back in work again. 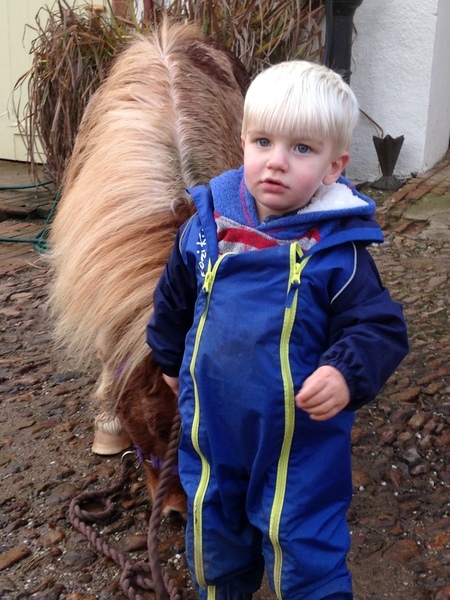 Maisie is particularly pleased to be being pampered having roughed it last winter out with her foal. 'Flynn' who now is too big to refer to as 'the foal' has grown brilliantly and is taking walks out on the halter like an old pro. The ewes should hopefully all be in lamb having had the rams running with them a little earlier this year, with lambing expected in February. We have completed (or rather the vet has) dehorning and castrating the calves. Not a nice job but thankfully now all done and dusted. A few lambs went off to the butcher for customers - super selection of cuts, very very tasty! 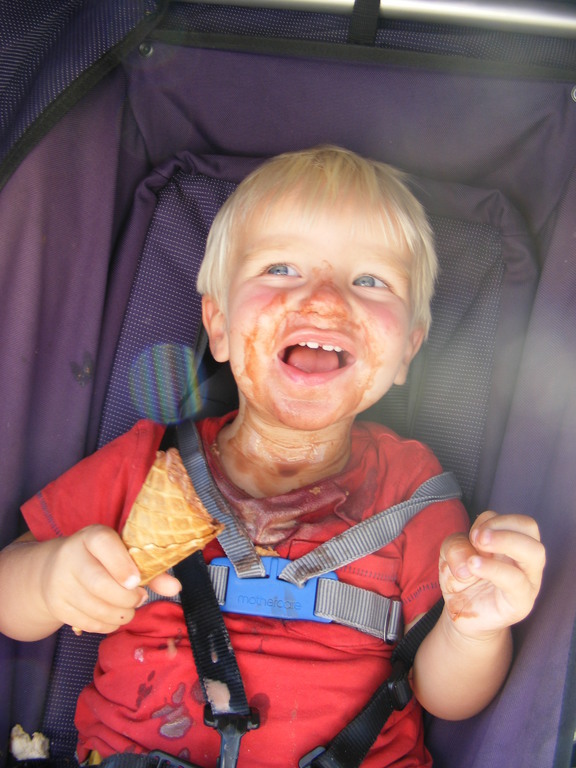 September weatherwise has been dry and sunny although a couple of cloudbursts did seem to appear out of the blue. 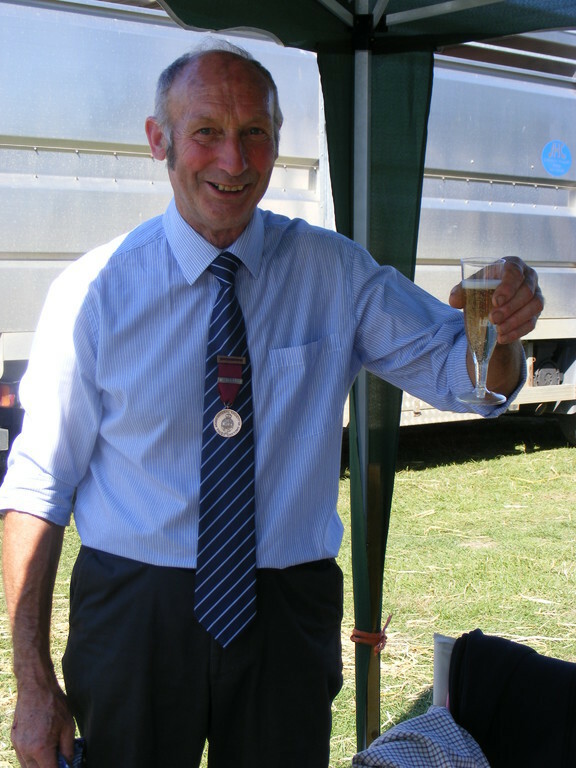 Jonathan had a very enjoyable day after being invited to be president of the Sidmouth Junction and District Ploughing match held just outside of the village earlier in the month. A super entry of tractors - during the morning at least 47 all ploughing at the same time. The photographs to follow were taken in the afternoon once things started to wind down. 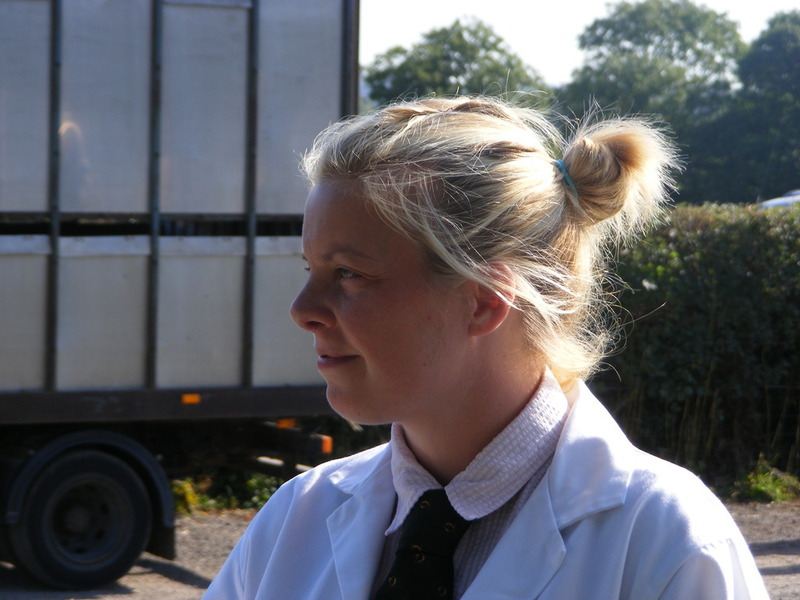 The majority of lambs have now gone on to market with a small smart selection kept to satisfy our customers with 'half' lamb boxes. 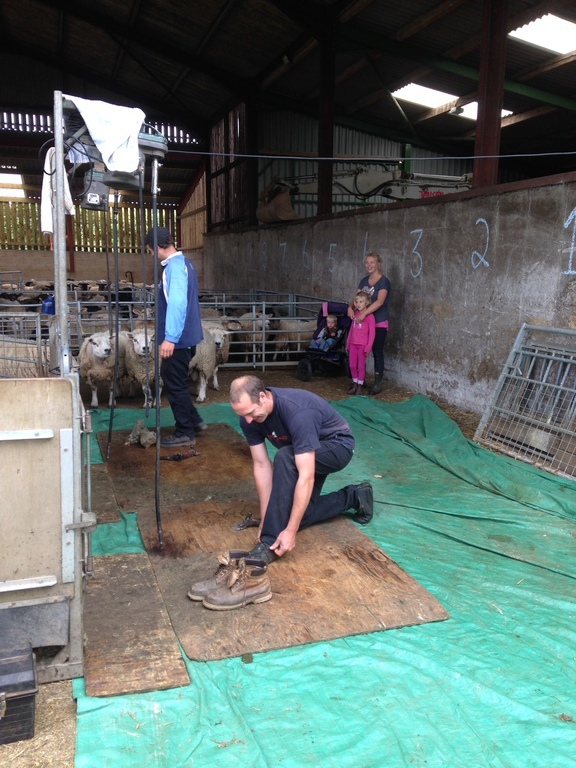 Ewes which are currently now running with the rams have had a full MOT, eased by the use of a 'roll over crate'. Much easier than tipping them up by hand which is a bit too back breaking! Its raining in August - there's a surprise!. 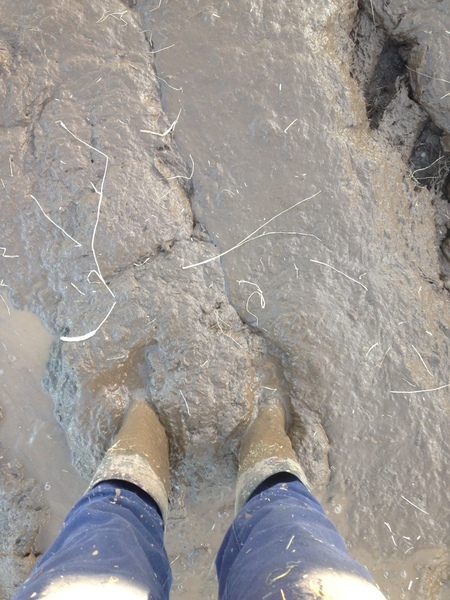 A few good thunderstorms have been about and some very heavy downpours although the ground is holding up well. 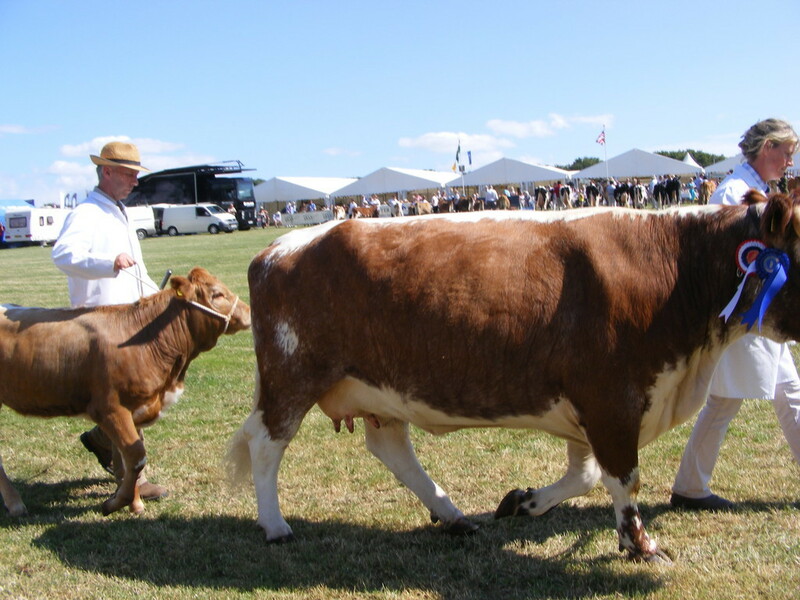 Preparation for Honiton Show with 2 cows entered with their calves at foot and a senior heifer. It turned out to be a fantastic day weatherwise, unfortunately not much competition in the Native class. 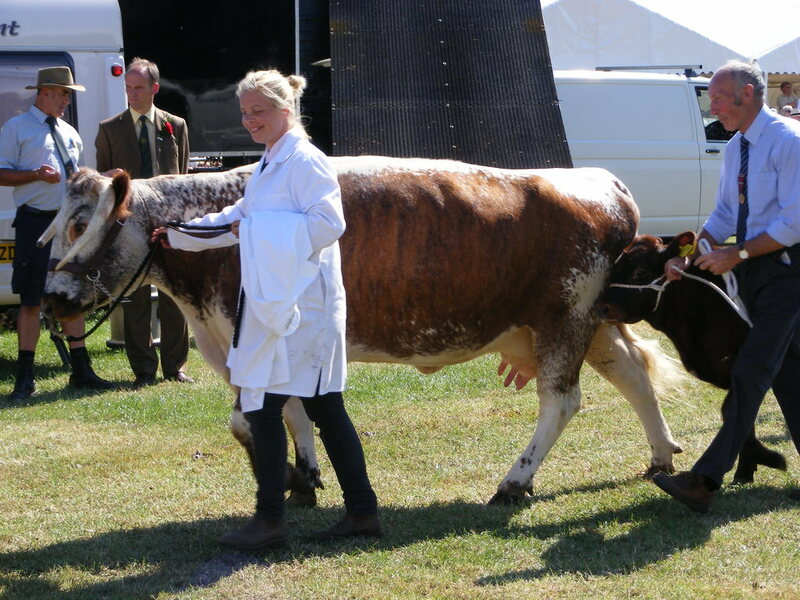 Feniton Emily winning her class and also the Native Championship. 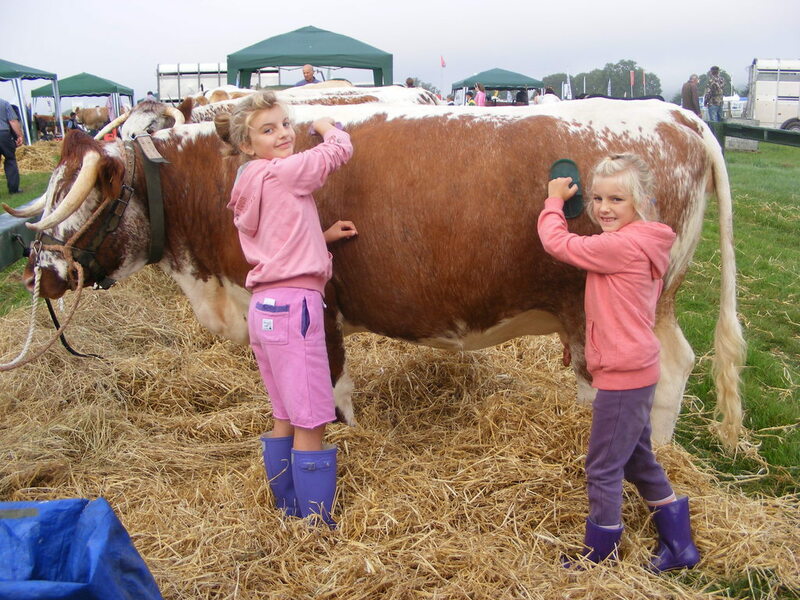 Nieces Ruby and Phoebe very excited to be helping out for the first time, and to top it all, Colin receiving a Royal Agricultural Society of England Long Service Medal and Certificate for 50 years service on the farm. 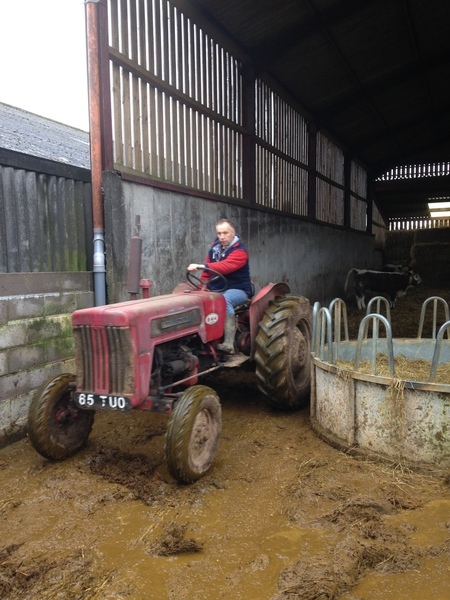 Colin was born in one of the Estate cottages in 1949 and in this week of Honiton Show in 1964 started work on the farm following in this fathers footsteps. 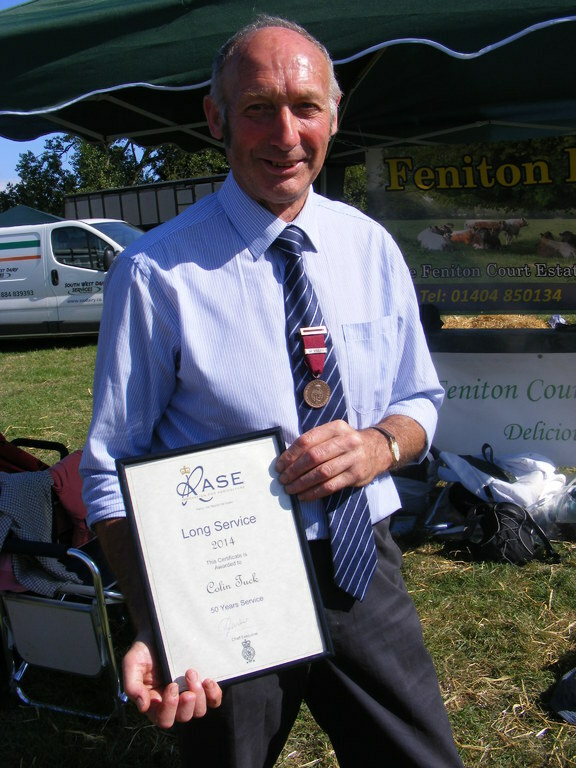 Colin was awarded (a complete surprise to him!) 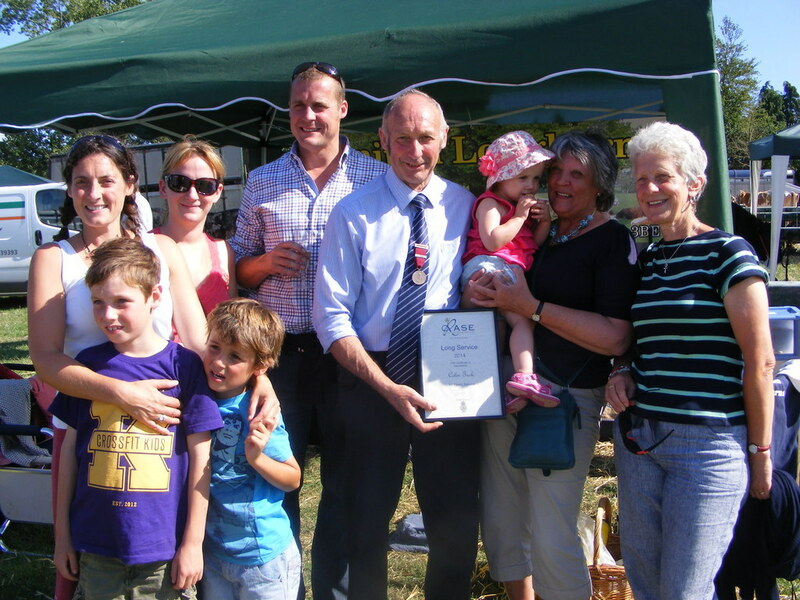 the medal during the Grand Parade of the show with his family there to watch. 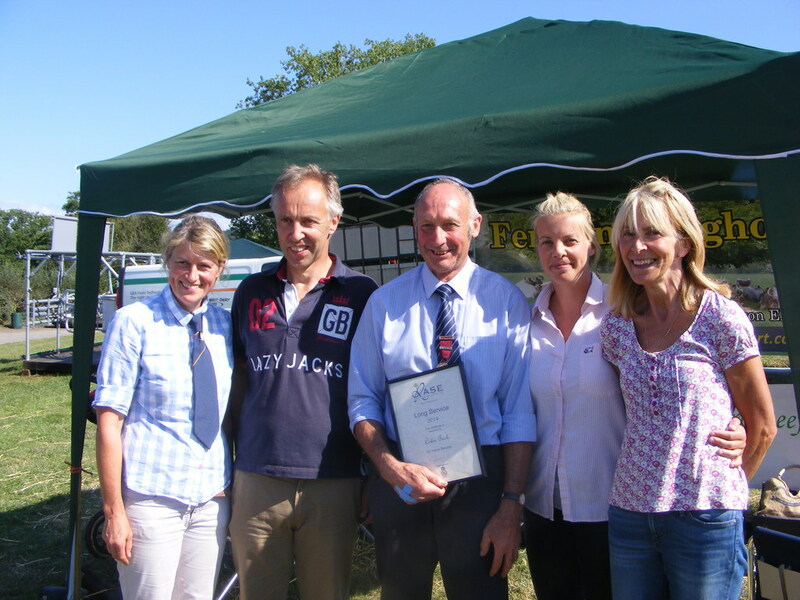 Bartletts farm shop from Hayne Farm, Gittisham near Honiton held a stand in the food tent at the show, selling a wide range of lovely local produce including our own lamb which was a pleasing sight. Well worth a visit to the well stocked farm shop and cafe if you are in that direction. On another note - we have got through TB testing again, 170 cattle tested, a manically busy day and relieved to be out the other side. July turning out to be very hot and clammy. More silage made and more lambs off to market. The horses are all shod and in work and finally the house is ready for B&B customers. 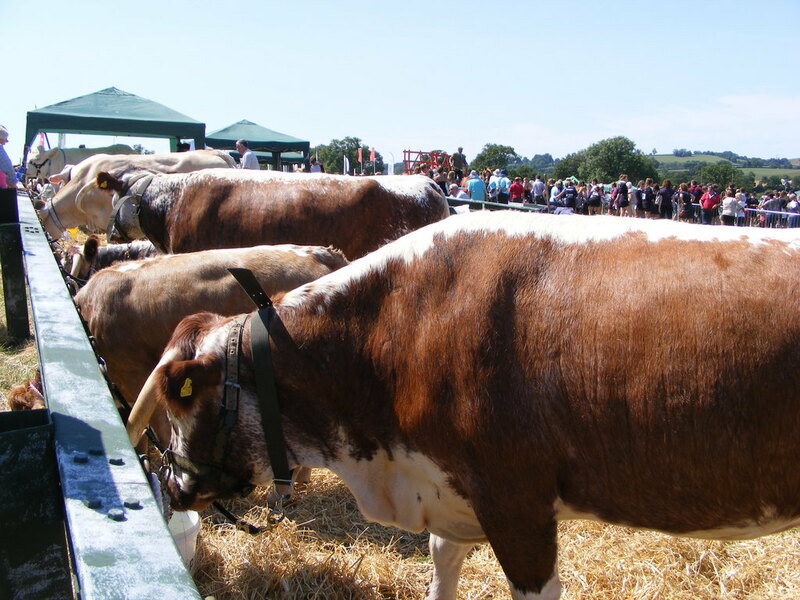 We are looking forward to August - We have cattle entered for the first time into The Honiton Agricultural Show plus Dad has entered his Allis Chalmers B tractor. Hopefully a great day out, the weather will either be boiling or pouring but looking forward to it anyway. 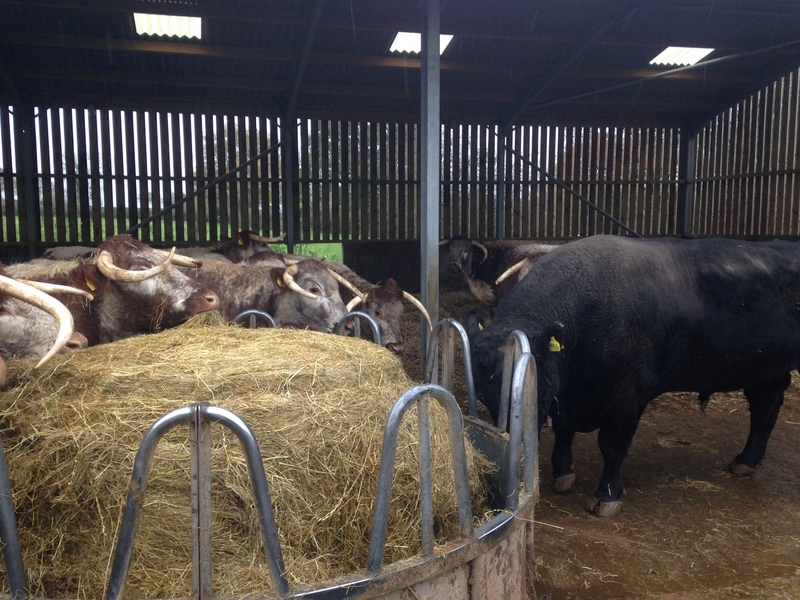 Flynn is now sharing his field with maiden heifers and our Longhorn Bull - Legend. 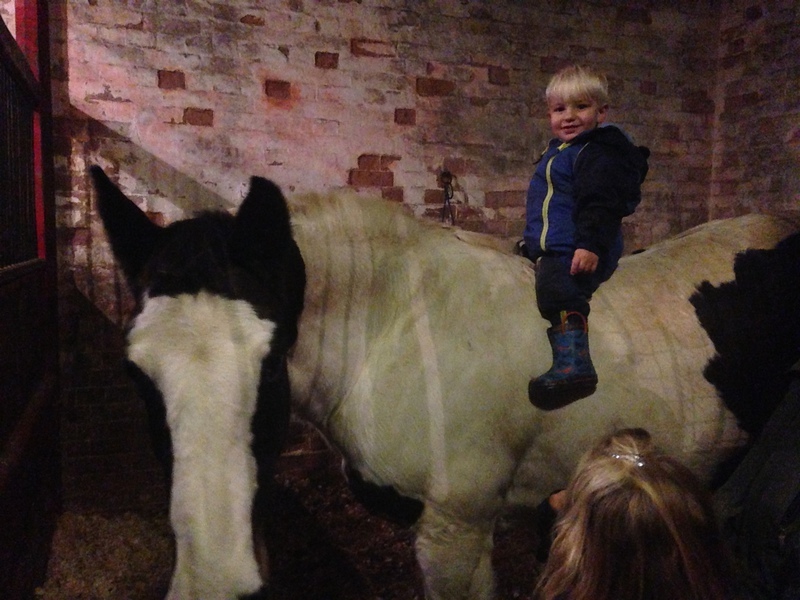 He doesn't seem to mind and at least is getting used to cattle at an early age!. 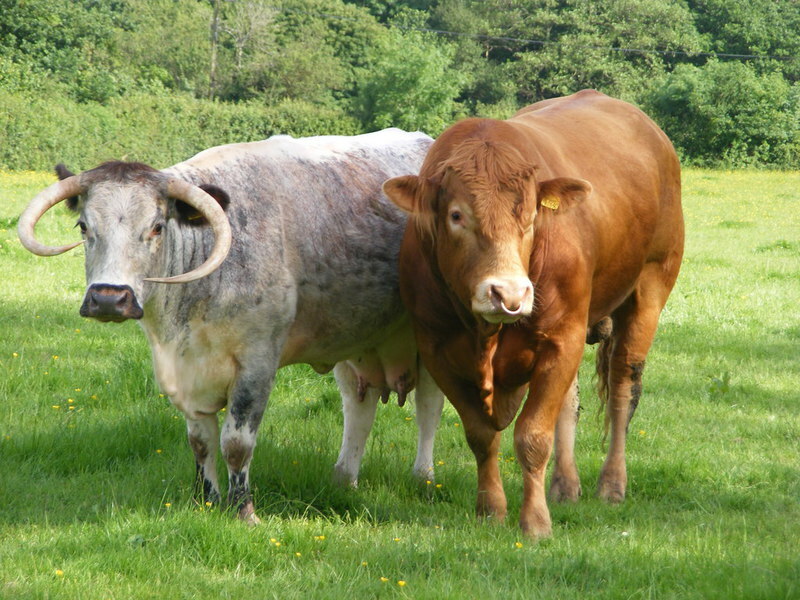 All the bulls are now out with the cows with the necessity to purchase a new bull to turn out with the older Longhorn Cows. 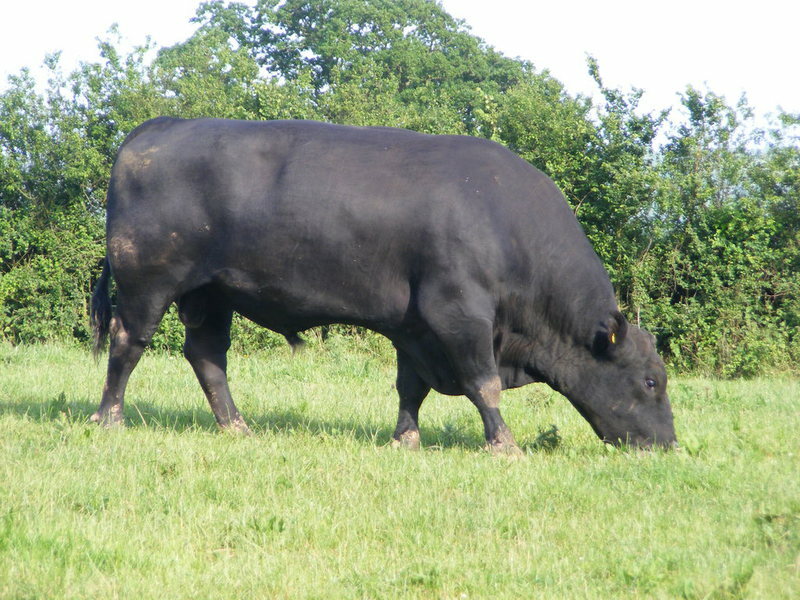 'Charlie Brown', an 8 year old Aberdeen Angus was purchased from Tavistock market and has settled in well. 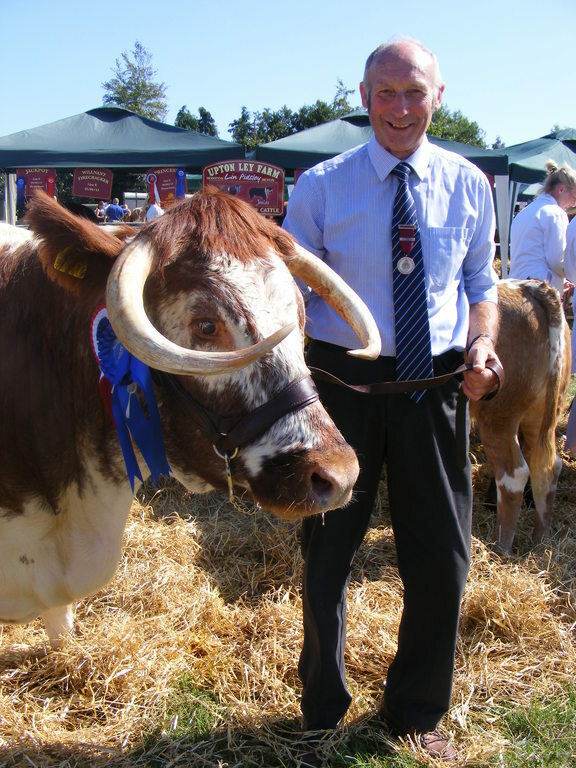 He doesn't seem to mind the 'wayward horns'!! June is now coming to a close with mixed weather this month. Currently it is sunshine and showers but earlier in the month we had fantastic dry hot weather allowing us to get silage cut and wrapped, ready for the winter feeding. 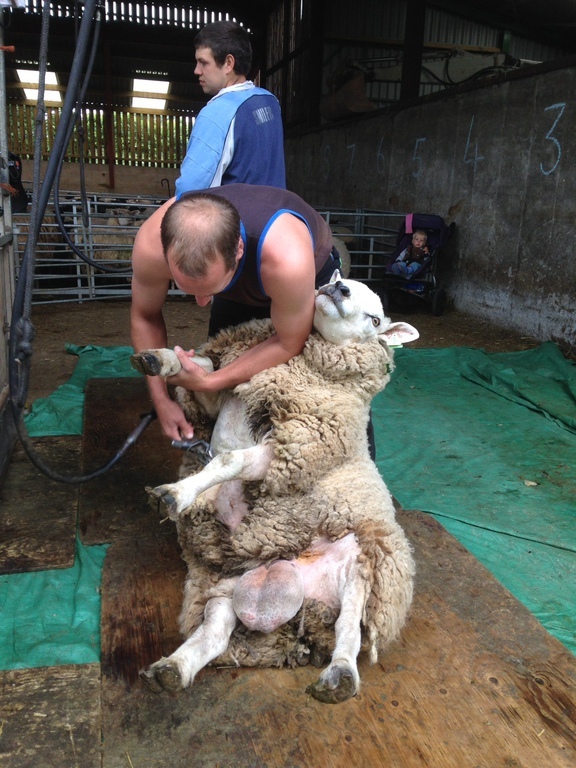 The shearers have also been this month with the sheep getting rid of their heavy fleeces (not before time). 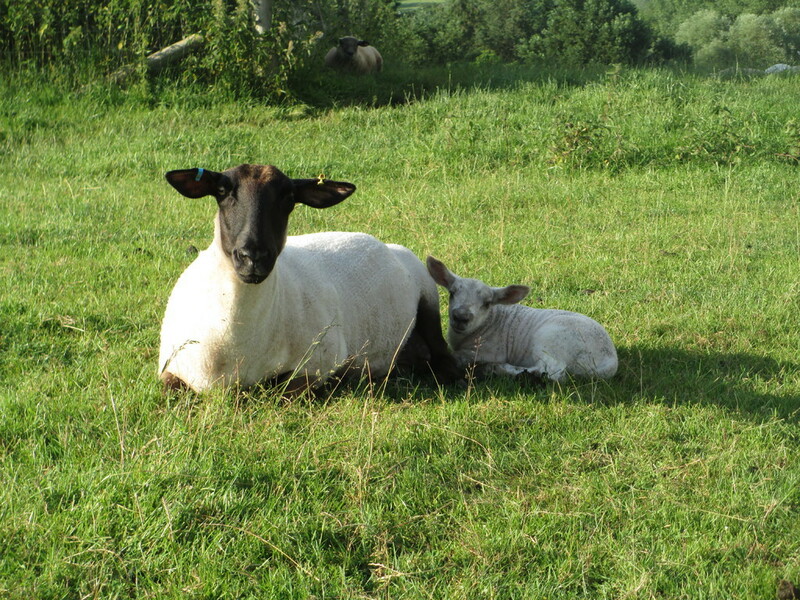 Shortly after shearing, a ewe popped out a late unexpected lamb - a mystery at first but answered after recalling the rams getting in with a few empty ewes. Flynn has also had his 1st birthday this year - on the 27th. No parties but he did oblige and wear a party hat!!. Starting in earnest to get the house ready to start doing Bed and Breakfast. Started riding Maisie again which was fabulous. 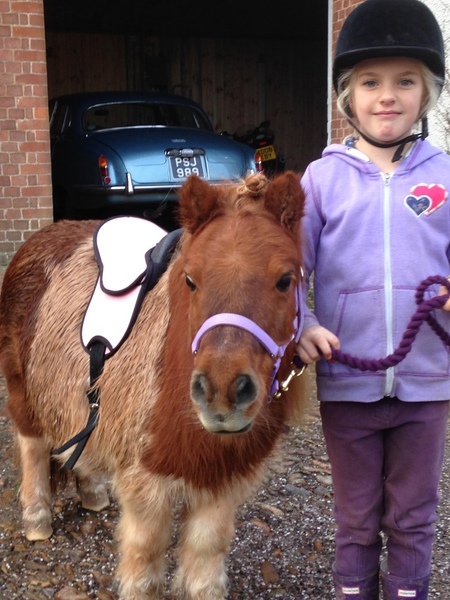 She was so excited having not been ridden since she was put into foal nearly 2 years ago - great fun!. 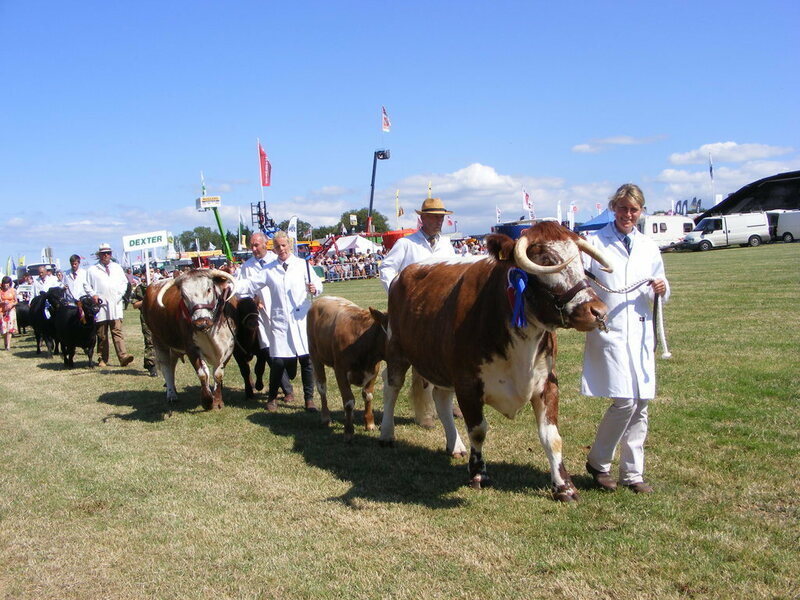 Devon County show this month with Dad entering his 1941 Allis Chalmers B tractor. 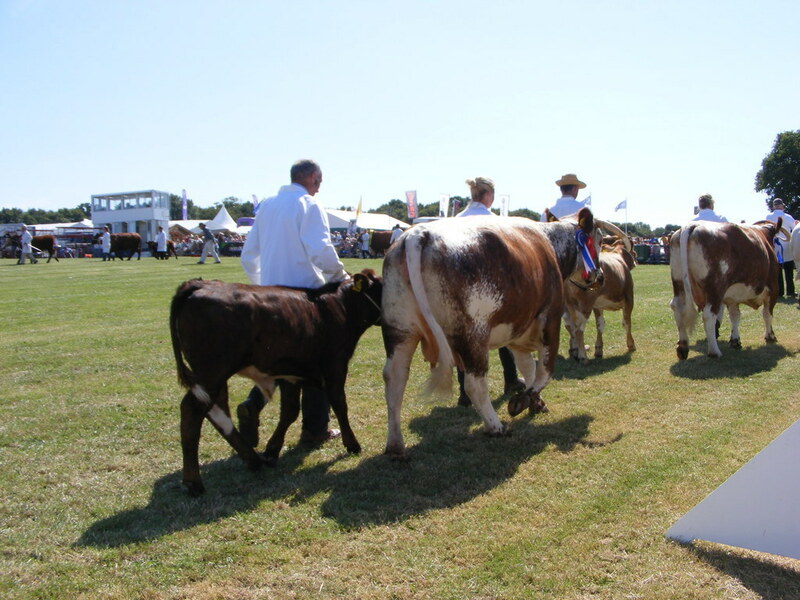 Unfortunately, another wet month with the last day of the show being cancelled because the car parks where way too muddy for people to get in and out. Lambs are well and truly growing now, all being fed creep to help them along. 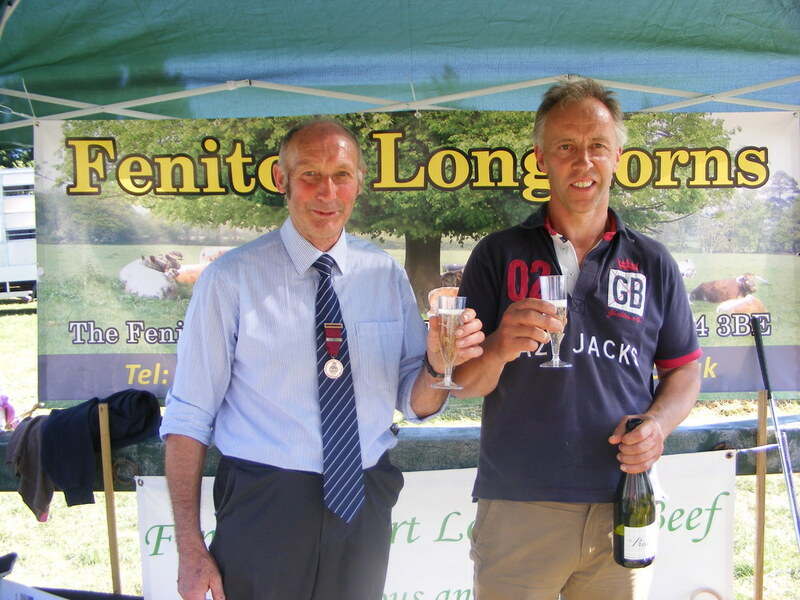 Feniton 'Friends of St Andrews Church' held a plant sale in Church Lane this month with cream teas being served on our lawn over both days of the weekend. In total, an amount of over £4000 was raised for the church which was an amazing achievement for all involved. Thankfully, the weather was glorious for a change. Mixed month weatherwise. Quite sunny and hot on days but equally, enough days of rain too!. 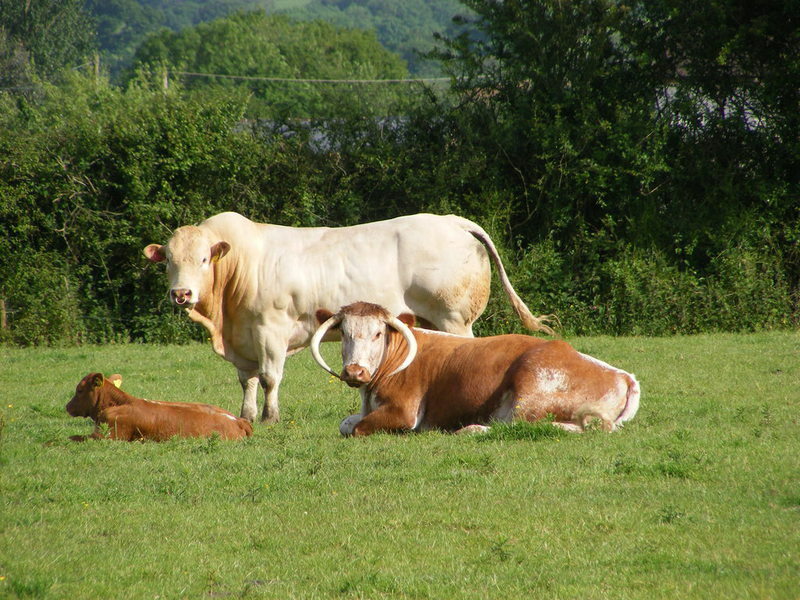 Calving well underway, a great selection of pedigree Longhorn calves plus Longhorn X Limousin and Longhorn X British Blonde. We should have in excess of 50 come the end in May. Days are really busy, feeding Orphan lambs (25 in total) so have invested in a Shepherdess Feeder which is a large heated bucket full of milk electrically heated where the lambs can drip feed all day. Certainly eased the burden and the lambs seemed to be growing well on it. So many orphans were as a result of too many multiple births like triplets and not enough single ewes to adopt on to. 'Aster', one of our older cows calved and very kindly, after many sessions of tying up and feeding, allowed 'Isaac' an orphan calf we have to feed. She now is quite happy looking after both her own and the orphan, out in the field, saving us rather a long time bottle feeding him. 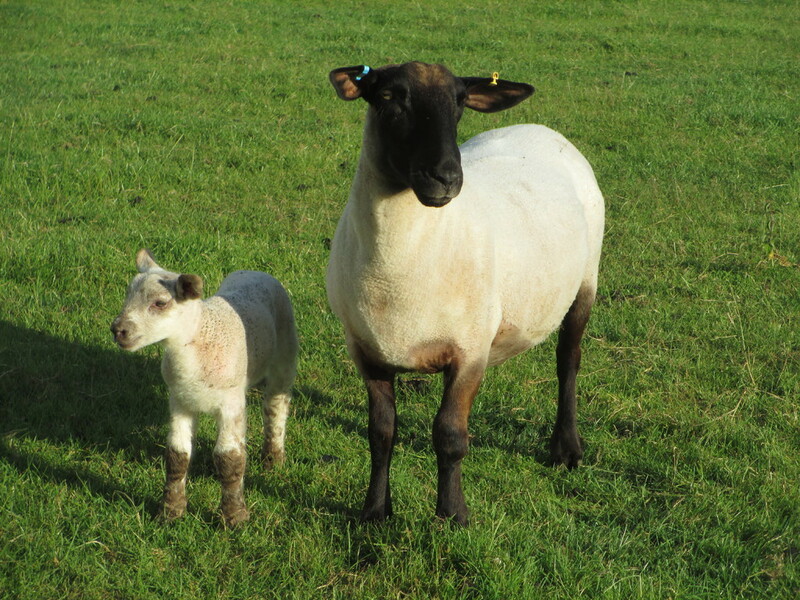 Lambing started at the end of February with things really kicking off around the 10th March. Very hectic as they all seem to be coming at once!. Calving happening at the same time - we will definitely need a breather after this. The weather on our side for turning ewes and lambs out into the fields with finally a fabulous lambing result of 200% so very happy. Still very wet during February with localised flooding!. When will it ever end..
Sheep got in at the end of Feb ready for lambing. 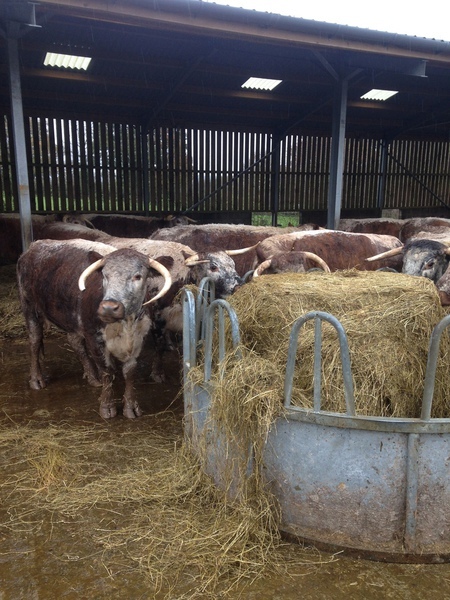 A relief to get them out of the wet fields. The rain is here to stay. Maisie and Flynn will shortly need flippers and the sheep aren't faring much better. 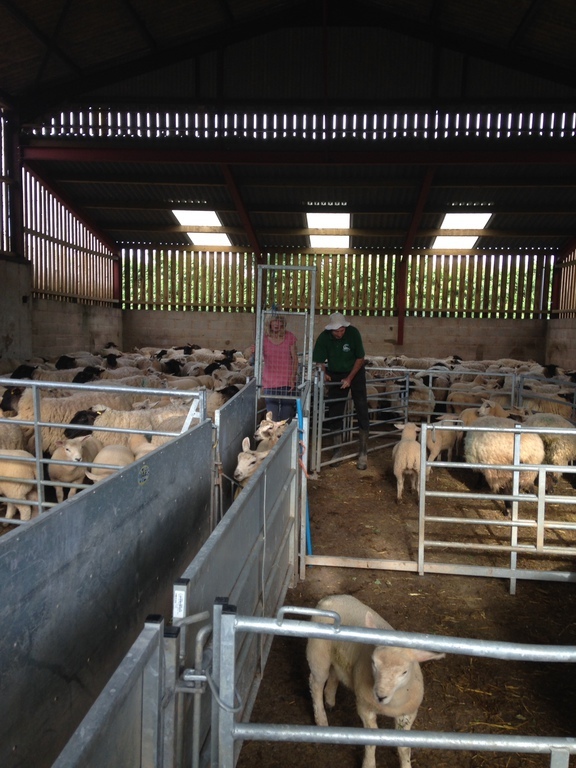 The ewes were scanned at the beginning of the month with 113 out of 115 being in lamb - a pleasing result. With a scanning percentage of 183%, it looks like we will be busy. 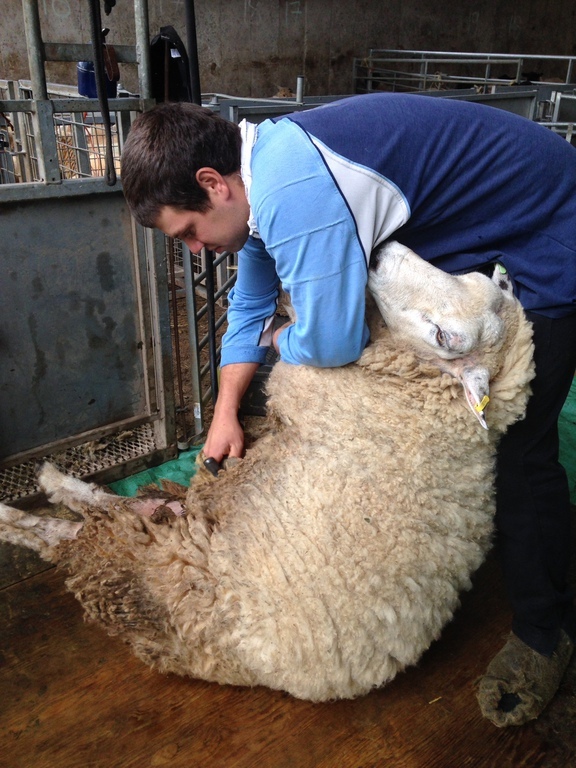 Lambing will start the beginning of March with the ewes being bought into the sheds to be lambed indoors. Flynn weaned from Maisie without a hitch. Opted for the gentler option with Maisie just residing in the stable next door so as not to get her too stressed. Unbelievably easy, not a peep from either of them. 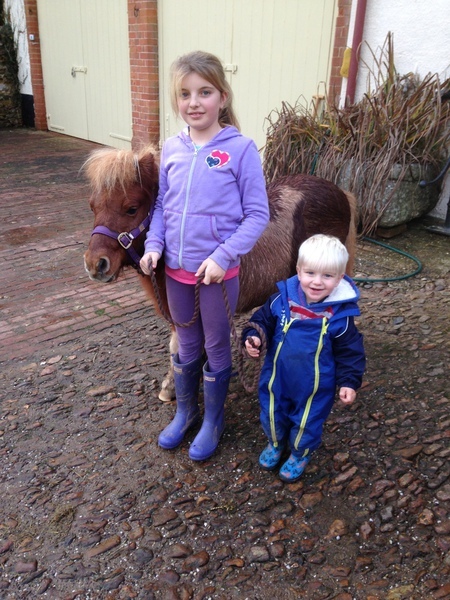 Then on to gradual turn out with Twiggy the little black pony we have. A sigh of relief!